Free summer activity calendar for kids. Keep the kids busy all July long with these awesome activities and crafts for kids! School's out, the weather's warm, and the kids are likely already telling you that they're bored. Well, no worries. 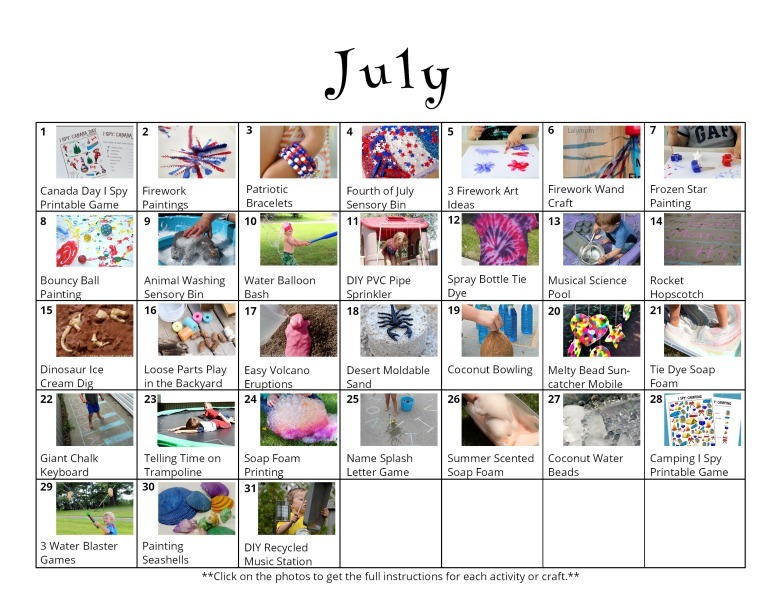 This free July activity calendar for kids is the perfect (and easy!) way to keep them entertained all summer long. 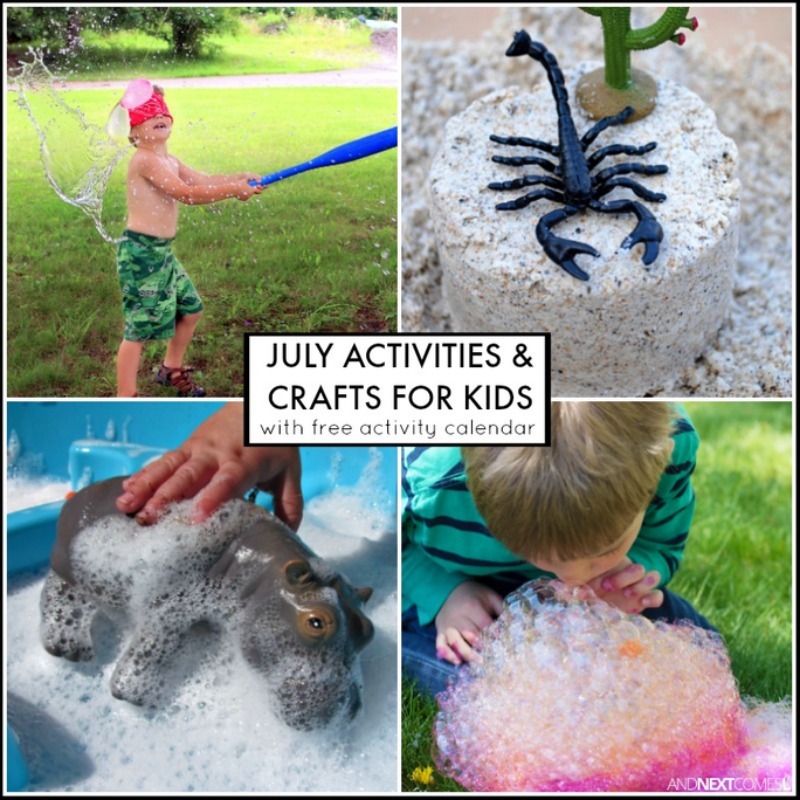 From water games, patriotic crafts and activities, music ideas, and lots of outdoor activities, this calendar is jam packed with fun ideas for kids of all ages. Bowling with Coconuts from Fun-A-Day! Coconut Water Beads Sensory Bin from Fun-A-Day! Shell Painting Ocean Art from Fun-A-Day! 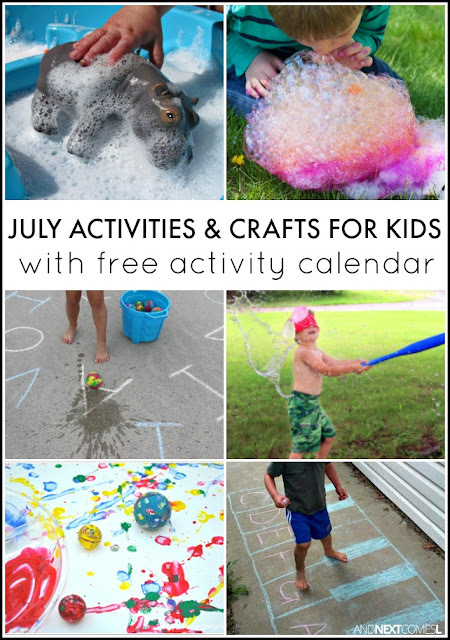 These crafts and activities can be found on this free activity calendar for kids. Download your copy below and keep it handy on your phone or computer. Then every morning, simply open the calendar, find the current date, and click on the corresponding photo. You will be taken to the activity's or craft's instructions. No need to plan activities for your kids as this calendar has it all: math, science, crafts, fine motor activities, and more! To download the calendar, either click on the image below or click the link below the image.